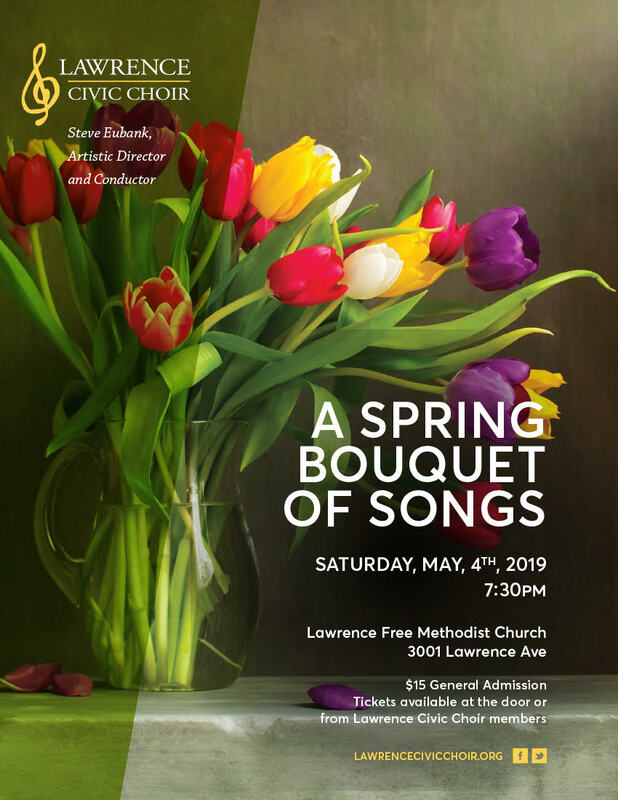 the Lawrence Civic Choir has served as a cornerstone for local singers who love to perform serious, four-part choral music led by a professional artistic director. The Lawrence Civic Choir meets at The First Baptist Church of Lawrence, 1330 Kasold Drive on Monday nights. 'Past Concerts' page (in 'About') 90% finished. Complete overhaul of the navigation menus (this is version 3). This is, for sure, the final design of the navigation menus. 'Tickets' drop-down will be added closer to the end of this project. 'Merch' will be added to the site navigation soon thereafter. Various minor additions/changes. Forgot to keep record of updates. New page created/complete - 'Board + Administration' (Found in 'about/people-places'.) May need review/changes to bring up to date. While drop-down menus are being redesigned, please use sitemap links at bottom of each page for navigation. Out of office. Minor/undocumented changes. Restyling/rebuilding navigation menu. See 'Give' drop-down for example of changes that will be uniform throughout the navigation menu. Disabling 'Merch' & 'Cart'. Not a top priority at this time. Once the site is finished, I can tackle that next. Haven't had much time to work on site. Minor changes, consolidated CSS classes. Out of office. No updates. Scrolling animations created for home page panels. Considering different text/image layout inside the drop-down menus. Not completely satisfied with the way they look. Design doesn't feel consistent with the rest of the page. ---These are CMS elements that will automatically change on their own as new content is added on the back end. Two new sections (40 years; contact form) under design probation. I may change the styling completely at a later time. Navigation button hover animations in the works. (Join, Give, About) Note: Dropdown menus do not return to top, yet.